Gary Ciampitti is a graduate of the University of Central Florida where he earned his business degree in finance. He holds his Florida 2-15 insurance license and his FINRA Series 7 & 66 securities licenses. Gary is a longtime friend of the Eppy family, and joined The Eppy Group after spending several years as a stock broker. Growing up and practicing finance professionally in South Florida, Gary witnessed, through clients, family and friends, the hardships experienced by members of our large retirement community, when forced to take income from an asset class whose market is down. Gary appreciates that most of his clients invest in assets such as real estate, businesses, collectibles etc., outside of The Eppy Group. He encourages his clients to diversify their holdings in an effort to minimize the effect of market downturns which may be isolated. He believes that growing wealth accompanied by a strong defensive plan, helps protect this wealth for retirement. He invites his clients' other advisors to work alongside him, and has a strong desire to build relationships with planning professionals in order to enhance the strategies he employs in an ever changing investment environment. Gary, and the firm as a whole, has a distinct approach to finances. Their fundamental goal is to educate their clients in an effort to facilitate them in making well planned choices. Gary's focus is to incorporate his knowledge of the investment world, with the expertise and tactics used by The Eppy Group, to expand the services he can provide his clients. 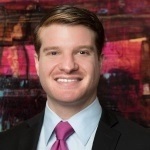 Gary is excited to become engaged in the South Florida community, currently involving himself in events hosted by the Young Lawyers Section of the Broward Bar, the Jewish Federation, the United Way of Broward County and Hands on Broward. Gary is a long time resident of South Florida, having lived in several parts of the state, and now back in his hometown of Miami. *Asset Allocation neither assures a profit nor protects against loss in a declining market.